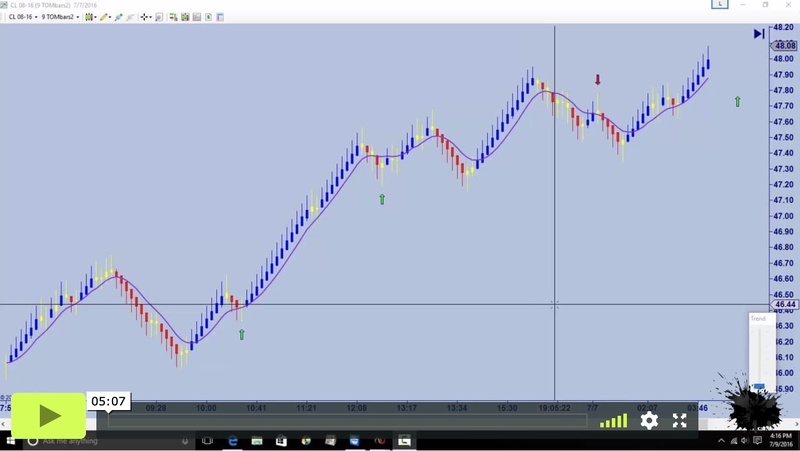 Discover How This ‘Second Wave Trade’ Is Making More Profits For More Traders Than Most Other Trading Systems. **after trial period subscription will continue with a monthly fee which can be canceled at any time. The most powerful trading support and profit enhancing strategies ever developed are now available to you...without taking on more risk! Every trader knows that feeling of relaxation and security that comes from making consistent profits through trading. You feel more alive! But if you are like many new traders out there, you have probably run into a stumbling block. Until now, the problem has been lack of time, convenience and Of Course, price and availability of trading capital. Trading courses are great but often you have to pay large amounts of money, which leaves you with little or no money left in your trading account to trade with! Not having enough money in your trading account is the BIGGEST problem for novice traders. When you don't have enough money, you have to take too many risks in order to get enough profits. But this is not a good idea and it's not a good way trade. It places too much emotional and psychological stress on you to get the "results" you want! Stress causes you to break your trading rules. It causes you take trades you shouldn't take, get out of trade too soon out of fear, ... and to stay in trades too long out of greed or some nonsense like a "gut" feeling you have about where the trade will go. The net results of taking too many risks and breaking trading rules is that you lose money rather than make it. But even if you have a high percentage of winning trades, having a small trading account means you can only make small profits. The trouble with this is, that one big loss can wipe out all of your small winnings. When you can't make the kinds of profits that could offer you an independent lifestyle that's full of freedom and choice, you become less happy and less satisfied. Unfortunately, this means not being able to live the lifestyle you want. What's even more frustrating is seeing other traders get the sorts of profitable results that you want for yourself and always wondering "Why not me? ", "Why can't I seem to make money trading?". If you're nearing retirement age and you can't increase your trading profits, you'll have to accept a lower quality of lifestyle in order to get by. This means living with the uncertainty and stress of low savings and increasing prices. But perhaps, you're younger and just want increased profits so you can pay off all your debt or save for your children's future education and independence. Maybe, you're just sick of work and want more freedom to travel, relax, play and enjoy life. If only you could make more profits on a larger trading account so you could free yourself from the uncertainty of retirement or the continuous grind of ... WORK! Don't take my word for it when you can prove it to yourself with my 21 day trial for just seven bucks. All you need to do is Master 1 Instrument using Pivot-Scalper to make all the money you need to live any way and any where you chose. One hour a day is all you need. Many of my members trade for just 30 minutes a day and then spend the rest of the day doing whatever they want. Scott gave me very specific instructions when he ordered Pivot-Scalper. He said and I quote " I want you to design the best indicator in the world, make it so that anybody can use it and make money with it, and imagine that we are going to sell this to our customers for $1,000.00". "I want to blow people's minds with the extreme value of Pivot-Scalper". So, that's exactly what I did. I want so much for you and I'm going to tell you exactly how to get everything you want. Many of my best customers are a lot like me - they are a a tad impatient, and they want every possible method of achieving even better results, and achieving them faster. That's why I have to let you in on the most amazing trading strategies I've ever developed. I call it "Pivot Scalper". Pivot Scalper is the only Manual Discretionary Trading Tool you need to achieve your trading goals. 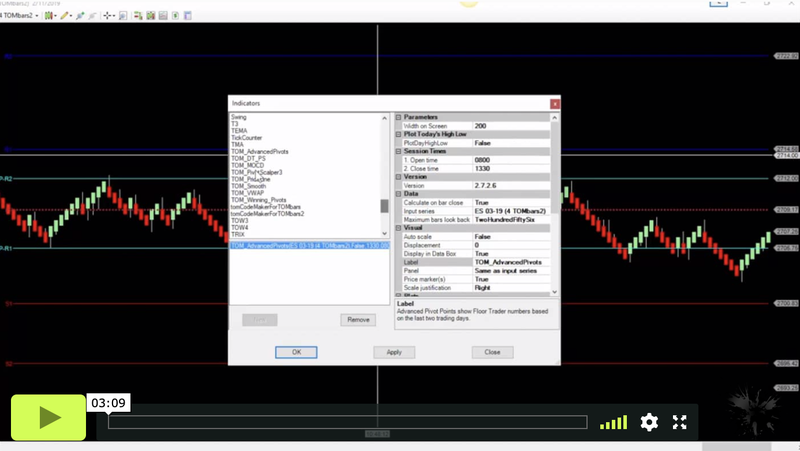 Master Pivot Scalper on just one instrument and follow my directions to the letter and you will revolutionize your trading results. That means you will finally begin to make money trading. * If you bring us a trader who has mastered Pivot Scalper, we will give them access to the extra funds they need to trade with! How cool is that? Nobody else can make you this offer, NOBODY! And with this piece of the puzzle in place, I knew I could offer you a complete system that removed all the hurdles, all the excuses, and all the hardship that keep you from participating in this very lucrative process we call trading. At Pivot Scalper, I obliterate almost all trading problems and give you real solutions. It's like someone wanting to learn how to play golf being handed a complete set of 14 golf clubs. They pull one club out and attempt to hit a ball down the fairway. Then they grab another club from the bag and attempt another swing to move their ball closer to the green. Then when they near the green they reach for a putter or a wedge iron to pop the ball up onto the green. BUT...they never get good at the game because they never learn to master one club with all its strengths and weaknesses, strategies and techniques and fine tuning necessary to master one club before moving onto the another one. It's best to start with just one club, say the 7 iron and practice with that 7 iron every day until it has been mastered. When this club is mastered, you can play an entire 18 holes of golf using just the 7 iron and beat most other weekend golfers out there. Then you can move onto master another club and so on. Each club needs to be mastered in turn. It's exactly the same in trading. Most marketers offer you too many trading tools and too many indicators in order to build what looks like value. But it isn't. In the process, they unwittingly sabotage any hope of success you could possibly find using their products. It' not their fault; they are simply trying to bump up the perceived value in their products. But as I said, in the process they are insuring that you will continue to lose because they offer too many things to choose from and you end up mastering none of them. The reality is that you only need ONE INDICATOR on ONE INSTRUMENT to make all the money you need to live anywhere and any way you want. Pivot Scalper once only focused on OIL or the CL but now you can use Pivot Scalper in any market you prefer. My Money Management strategy will teach you how to setup profit targets and loss limits very precisely and conservatively until you have mastered and embedded in yourself a new success habit. If you take my advice, you will become a profitable trader very quickly, and at that point, you will be able to scale up your trading to any size you want. Now, you can realize all of your dreams of financial independence from anywhere in the world. While this is impressive, I'm sure you're finding it difficult to believe. Maybe you want proof that my system actually works and that it is indeed superior to everything else on the market, right? Well, the best way I can do this is to show you what my customers say about me and Pivot Scalper and the success they are having. I've published several of our customer comments. Please CLICK HERE TO REVIEW TESTIMONIALS. We trade for no more than 2 hours a day. We stop trading when we reach/exceed our daily goal. We stop trading if we hit our daily loss limit. Don't be fooled by overly complicated trading systems, they're nothing more than shiny objects designed to distract you from your mission to make money. "The most powerful trading support and profit enhancing strategies ever developed are now available for you… without taking on more risk!" Oil is one of the best instruments to trade because it's volatile and moves around a lot, and reacts well to news events, and that's what you need in order to make money. Before You Start, then Watch Them Again. Master Pivot Scalper on just one instrument and follow my directions to the letter and you will revolutionize your trading results. And that means you will finally begin to make money trading. Every trader knows that feeling of relaxation and security that comes from making consistent profits through trading. Perhaps, you're just sick of work and want more freedom to travel, relax, play and enjoy life. The most powerful trading support and profit enhancing strategies ever developed are now available for you… without taking on more risk! Prove you can trade Pivot-Scalper and I will give you access to up to $150,000.00 of real money to trade with. Stop jumping from indicator to indicator, trading system to trading system and settle down with Pivot-Sclaper. Everything you are looking for is right here under your nose. All you need is one superior indicator (Pivot-Scalper) and one instrument (CL, TF, ES, NQ, YM) and Master it. Only by Mastering this formula will you succeed at trading. All the money you are looking for, to live any where and any way you want, is right here in the market place. Pivot-Scalper and our training gives you the advantages no other trading system offers. Now finally you can access all of your dreams using the most simple yet sophisticated trading system in the world. Join us now and prove to yourself this is your new home. ** Try it right now for 21 days for just $7. If you decide to stay after your 21 day trial period, do nothing and we will charge you just the monthly subscription for the product you purchased. Or you can cancel at anytime not questions asked. 21 Day Trial Period - Cancel At Anytime - No Questions Asked! You are fully protected by our Love IT Or Leave IT Guarantee. If you are not happy with Pivot Scalper for any reason, then simply cancel your subscription - no questions asked. you will become a successful Pivot-Scalper trader. I look forward to working with you"
** U.S. Government Required Disclaimer – Commodity Futures Trading Commission Futures and Options trading has large potential rewards, but also large potential risk. There is a substantial risk of loss in trading futures, options and forex. Past performance is not necessarily indicative of future results. You must be aware of the risks and be willing to accept them in order to invest in the futures and options markets. Don’t trade with money you can’t afford to lose. This is neither a solicitation nor an offer to Buy/Sell futures or options. No representation is being made that any account will or is likely to achieve profits or losses similar to those discussed on this web site. The past performance of any trading system or methodology is not necessarily indicative of future results. CFTC RULE 4.41 – HYPOTHETICAL OR SIMULATED PERFORMANCE RESULTS HAVE CERTAIN LIMITATIONS. UNLIKE AN ACTUAL PERFORMANCE RECORD, SIMULATED RESULTS DO NOT REPRESENT ACTUAL TRADING. ALSO, SINCE THE TRADES HAVE NOT BEEN EXECUTED, THE RESULTS MAY HAVE UNDER-OR-OVER COMPENSATED FOR THE IMPACT, IF ANY, OF CERTAIN MARKET FACTORS, SUCH AS LACK OF LIQUIDITY. SIMULATED TRADING PROGRAMS IN GENERAL ARE ALSO SUBJECT TO THE FACT THAT THEY ARE DESIGNED WITH THE BENEFIT OF HINDSIGHT. NO REPRESENTATION IS BEING MADE THAT ANY ACCOUNT WILL OR IS LIKELY TO ACHIEVE PROFIT OR LOSSES SIMILAR TO THOSE SHOWN. All trades, patterns, charts, systems, etc., discussed in this advertisement and the product materials are for illustrative purposes only and not to be construed as specific advisory recommendations. All ideas and material presented are entirely those of the author and do not necessarily reflect those of the publisher or TheOilMoney.com. No system or methodology has ever been developed that can guarantee profits or ensure freedom from losses. No representation or implication is being made that using the TheOilMoney.com methodology or system will generate profits or ensure freedom from losses. The testimonials and examples used herein are exceptional results, which do not apply to the average member, and are not intended to represent or guarantee that anyone will achieve the same or similar results. Each individual’s success depends on his or her background, dedication, desire, and motivation. 3. All content and information contained in, or disseminated by, this site, is strictly for demonstration and educational purposes. TheOilMoney.com do not make, buy, sell or hold recommendations. Unique experiences and past performances do not guarantee future results. 5. Use of any of this information is entirely at your own risk, for which Scott Morris, TheOilMoney.com and any other businesses associated with Scott Morris and/or any of their Associates, and Employees will NOT be liable. Neither we nor any third parties provide any warranty or guarantee as to the accuracy, timeliness, performance, completeness or suitability of the information and content found or offered in the material for any particular purpose. You acknowledge that such information and materials may contain inaccuracies or errors and we expressly exclude liability for any such inaccuracies or errors to the fullest extent permitted by law. All information exists for nothing other than education, demonstration, and/or entertainment purposes. We are not registered trading advisors. 7. NO REPRESENTATION IS BEING MADE THAT ANY ACCOUNT WILL, OR IS LIKELY TO ACHIEVE PROFITS OR LOSSES SIMILAR TO THOSE TALKED ABOUT OR DISCUSSED BY OR WITH SCOTT MORRIS, THEOILMONEY.COM AND ANY OTHER BUSINESSES ASSOCIATED WITH SCOTT MORRIS OR ANY OF THEIR ASSOCIATES, AND EMPLOYEES, OR OTHERWISE PUBLISHED, BROADCAST, OR STATED ON ANY HEREIN ASSOCIATED SITE. 8. Any content, material, information, or informational offering of any kind associated herein, including, but not limited to, SOFTWARE, LIVE ROOM COURSE or COURSES, or any other PRODUCTS or SERVICES from Scott Morris, TheOilMoney.com and any other businesses associated with Scott Morris SHOULD BE USED AS LEARNING AIDS ONLY AND SHOULD NOT BE USED TO INVEST REAL MONEY. IF YOU DECIDE TO INVEST REAL MONEY, ALL TRADING DECISIONS SHOULD BE YOUR OWN. 9. Educational and/or other informational content contained herein and associated with Scott Morris, TheOilMoney.com and any other businesses associated with Scott Morris or any of their Associates, and Employees, is not an invitation to trade Crude Oil, Gold Futures or any other futures markets. Trading requires risking your money in the pursuit of future profit. Taking that risk is strictly your decision. Do not risk any money you cannot afford to lose. All content, materiel, and information contained herein on this site does not take into account your own individual financial and personal circumstances. It is intended for educational purposes only and NOT as individual investment advice. Do not act on this information without advice from your own investment professional, who can identify your particular interests and needs. Failure to seek out personally tailored professional advice could lead to you acting contrary to your own best interests & could lead to losses of capital. 11. Scott Morris, TheOilMoney.com and any other businesses associated with Scott Morris and/or any of their Associates, and Employees, relies upon the “publisher’s exclusion” from the definition of “investment adviser” as provided under Section 202(a)(11) (D) of the Investment Advisers Act of 1940 and any related state securities laws. Section 202(a)(11)(D) of the Advisers Act excludes from the definition of an investment adviser a “publisher of any bona fide newspaper, news magazine or business or financial publication of general and regular circulation.” The United States Supreme Court has interpreted the “publisher’s exclusion” to include publications that offer impersonal investment advice regularly to the general public. To qualify for 202(a)(11)(D) exclusion, a publication must be: (1) of a general and impersonal nature, in that the advice provided is not adapted to any specific portfolio or any client’s particular needs; (2) “bona fide” or genuine, in that it contains disinterested commentary and analysis as opposed to promotional material; and (3) of general and regular circulation, in that it is not timed to specific market activity or to events affecting, or having the ability to affect, the securities industry. To the extent any of the content, material, information and/or any other kind of informational offering published, broadcast, or otherwise stated on this, and/or associated websites, may be deemed to be “investment advice”, such information is impersonal and not tailored to the investment needs of any specific person. The information contained within this, and/or, associated websites, is provided for informational and educational purposes only. The Information should not be construed as investment or trading advice, and is not meant to be a solicitation or recommendation to buy, sell, or hold any positions in any indices or financial markets mentioned. 12. You agree that Scott Morris, TheOilMoney.com and any other businesses associated with Scott Morris or any of their Associates, and Employees, SHALL NOT BE LIABLE FOR ANY DIRECT, INDIRECT, INCIDENTAL, SPECIAL OR CONSEQUENTIAL DAMAGES. Members and readers agree to indemnify and hold Scott Morris, TheOilMoney.com and any other businesses associated with Scott Morris and/or any of their Associates, and Employees, harmless from any claim or demand, including reasonable attorneys’ fees, made by the member or any third party due to or arising out of a member’s use of the service. 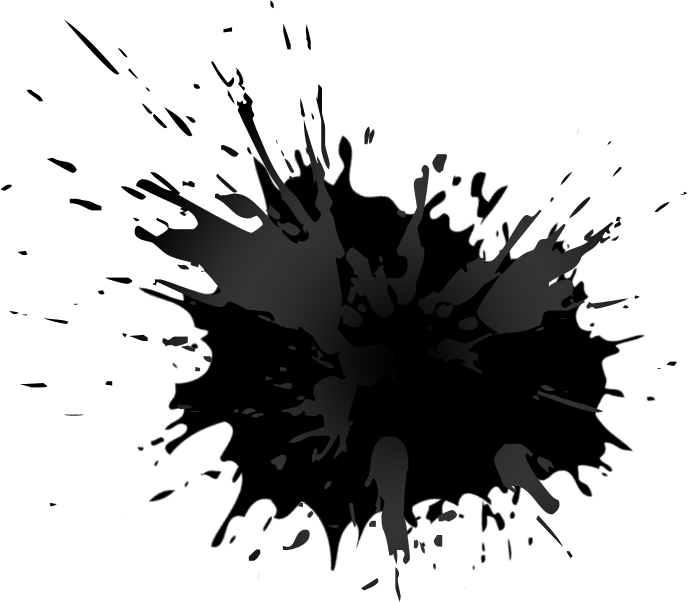 TheOilMoney.com is owned and operated by The Oil Money and may contain advertisements, sponsored content, paid insertions, affiliate links or other forms of monetization. TheOilMoney.com abides by word of mouth marketing standards. We believe in honesty of relationship, opinion and identity. The compensation received may influence the advertising content, topics or posts made in this blog. That content, advertising space or post will be clearly identified as paid or sponsored content. TheOilMoney.com is never directly compensated to provide opinion on products, services, websites and various other topics. The views and opinions expressed on this website are purely those of the authors. If we claim or appear to be experts on a certain topic or product or service area, we will only endorse products or services that we believe, based on our expertise, are worthy of such endorsement. Any product claim, statistic, quote or other representation about a product or service should be verified with the manufacturer or provider. TheOilMoney.com makes no representations, warranties, or assurances as to the accuracy, currency or completeness of the content contain on this website or any sites linked to or from this site. 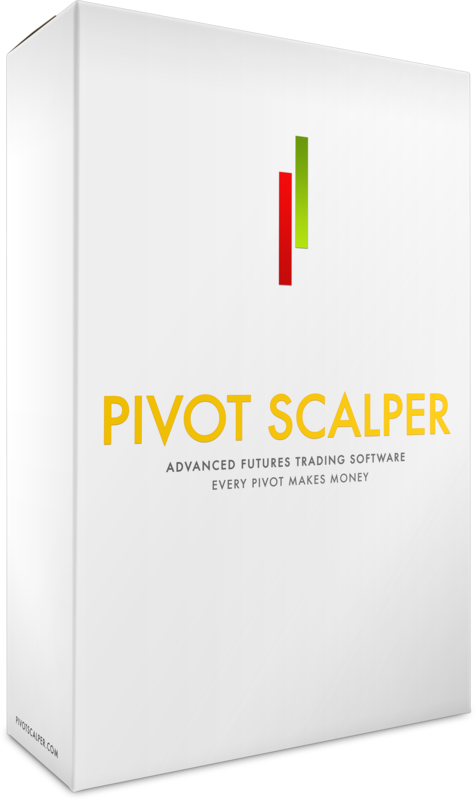 What make Pivot Scalper better than the rest? I specifically had PS designed as a system that would sell to an upmarket knowing all along I would offer it to my customers for a dramatically reduced price so that the value would be overwhelming. It is a complete system all by itself needing no additions unless you decide you want additions. 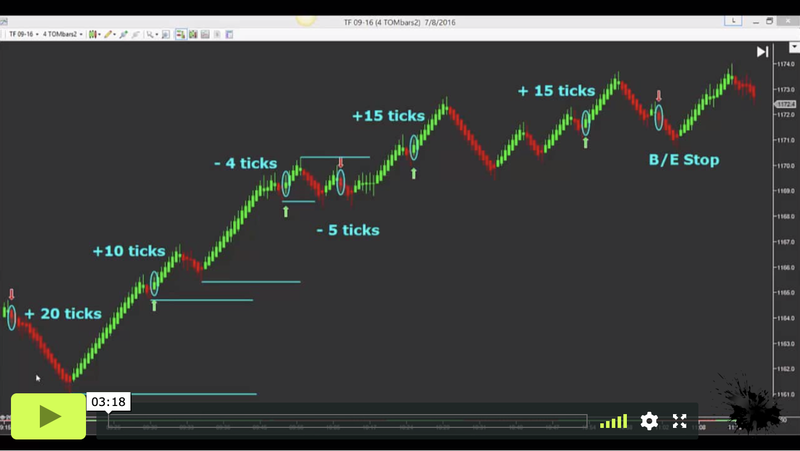 The designer/architect of Pivot-Scalper monitors Pivot-Scalper constantly and uses it himself in his personal trading to insure that it is always cutting edge and making adjustments as needed which cost you nothing. All upgrades and updates are free, you will never pay for an update or upgrade. I am the owner and I run this business personally. I am involved in every aspect of my business every day and I answer your emails personally and passionately. Your success is required for my success. I really do care about that and it is for that reason I'm giving you the most superior trading system in the world for next to nothing. Why? Because I want 10,000 customers using Pivot-Scalper instead of just 500. Do I have to pay for upgrade or updates? No! You will never pay for any updates or upgrades. We monitors Pivot-Scalper constantly to make sure it is performing at the cutting edge. When upgrades or updates are needed, he makes the adjustments and it is sent to you in an email or downloadable from the members area. Can I have Pivot Scalper on more than 1 computer? Yes! You can have up to 2 computers running Pivot-Scalper. Most of my customers have a laptop and a desk top and many even a traveling computer, so I decided 2 was a good number. I've tried other systems and failed, why will pivot scalper work? Because I'm going to tell you the truth. I am going to tell you that you have to master Pivot-Scalper on a single instrument and if you don't, you may as well quit trading. It's like the example I use of a fledgling golfer being handed 14 golf clubs and told to go out and use them all. Failure is assured. Instead he should go out and Master the 7 Iron until he can play 18 holes with just the 7 Iron. It's the same with trading. You will be successful if you focus on just Pivot-Scalper and just one instrument like the CL-Oil, or the TF-Russel-2000. Mastery is the key. I want you to stay here for life and the only way I can make that happen is to teach you the right way. If I can get your trust, by showing you success, you will never leave me. Can I verify the customer comments to see if they are real? Sure you can. The US government now requires that a hard copy of every customer comment be kept on file in my office. Each customer comment is guaranteed authentic and verifiable. I also have hundreds of customer interviews and videos that can not be faked. Many websites are based outside the US and are able to fake testimonials and customer comments. We are based in Austin, Texas and comply with all US regulatory agencies in both the Trading Space and the Marketing Space. Can I use Pivot Scalper on a Mac? I do not suggest trading on a Mac, but I do have some members who trade successfully using Parallels for Mac and do quite well.